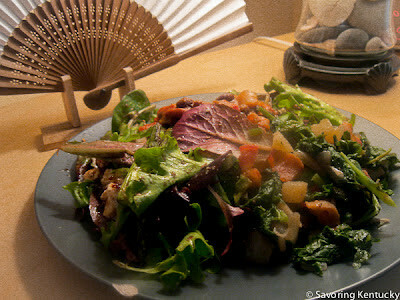 Salad season is fully here - YEA! 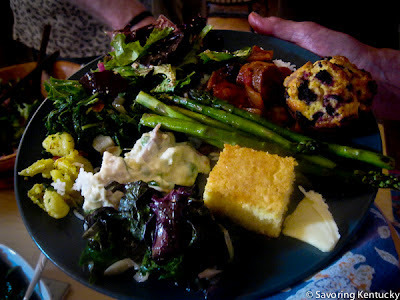 Salads and stews of all types, we have learned, are so delicious with cornbread. For this meal, we had both generous salads and a lovely stew. And, for all who were interested, a trip to the Old Episcopal Burying Ground afterward to eat mulberries straight from the loaded tree. So delicious, so messy!